Spa vanity for private treatment room where modest amount of storage is needed. 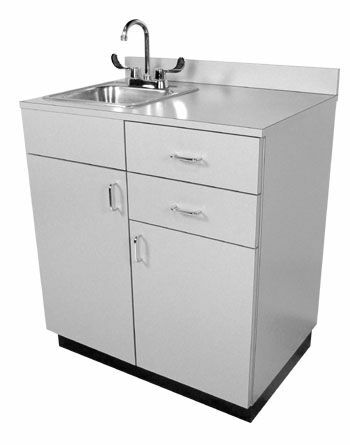 Unit has two drawers, two storage cabinetes, and comes complete with stainless steel sink and fixtures as pictured. 32"W x 21"D x 36"H.